HPE Nimble Storage releases the Nimble Linux Toolkit 2.3 packed with features for your persistent storage projects for containers. Learn about exciting new capabilities including a fully supported storage solution for Kubernetes! HPE Nimble Storage has now extended VSS integration for applications running on VVol VMs. An end-to-end automated workflow is now possible that allows application data to be backed-up and enables administrators to separate their VM & application backups. 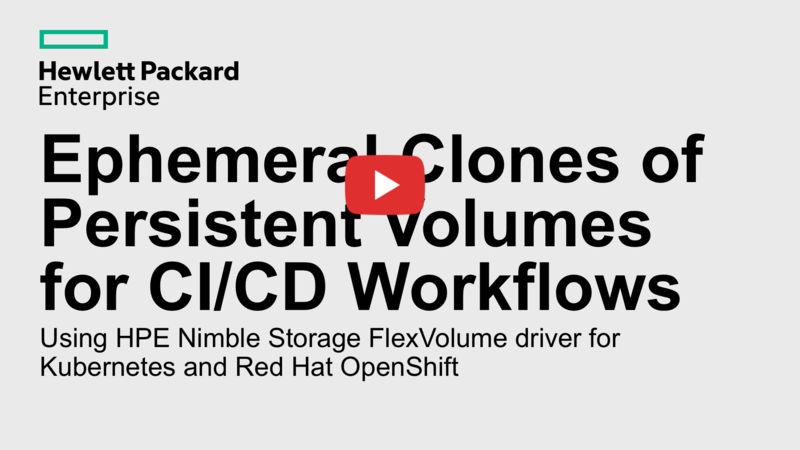 HPE has released a new version of the NimbleOS 5.0.1 & Nimble Storage Windows Kit 5.0 (GA). This new software release is locked and loaded with numerous VVol capabilities . Dory: A FlexVolume Driver that speaks Whale!